After taking an OMP apart and analysing the parts . I have been able to see how it works and calculate it's output. "The OMP has a stepper motor that drives a geared cam that is regulated by a position sensor . When the PCM commands the valve open, it rotates in a counter-clockwise direction in a series of steps that are regulated in a servo motor fashion from minimum to maximum." The stepper motor adjusts the position of the cam to allow the cam followers to move more .Thus pushing the brass pump sleeves up and down further as they are rotated. The pump pistons don't move but effectively form the piston of the pump as the brass pump sleeves move.Oil enters the pump as the sleeve holes align with the pressurised engine oil holes and is then pumped into the exit holes by the sleeve action as they rotate and align. There are four pumps effectively . Two small ones and two larger ones . The pump pistons are stepped as are the pump sleeves on the inside to form two pumps per piston. The volume that each of the steps pumps is identical (same x sectional area) . Each sleeve uncovers two holes on each upstroke and has two upstrokes per rev, so it pumps to the four outlets . Effectively this means that each outlet gets precisely the same amount of oil. The large and small pump feed each outlet equally. The smaller pump is activated sooner than the larger one to give the ecu a means of effectively and gradually increasing flow. The larger pump rotates (pumps) at twice the speed of the smaller one. Maximum pump stroke is 1.5mm for both pumps but the small pump will always pump some oil . It's minimum stroke is approx. 0.5mm. 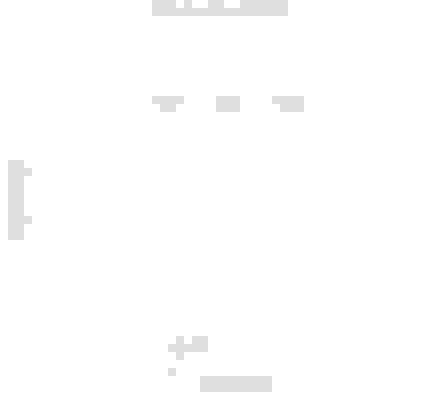 Last edited by Brettus; 10-11-2018 at 04:58 PM. The small pump major diameter is 2.5mm and the large one is 5.4mm .Maximum stroke is 1.5mm. 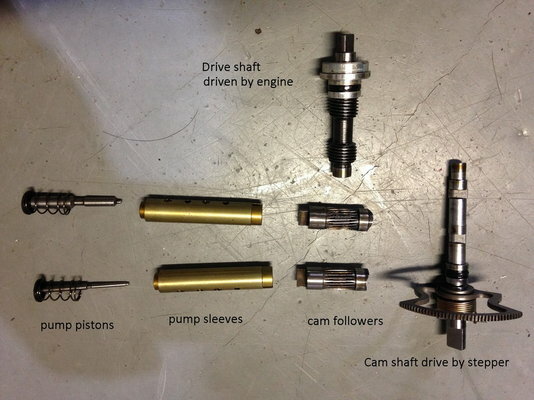 The drive shaft for the omp rotates once for every two revs of the engine . The small pump rotates once for every 22 rotations of the omp drive shaft. The large pump rotates once for every 11 rotations of the omp drive shaft. There are two upstrokes per rev of the pump sleeve. 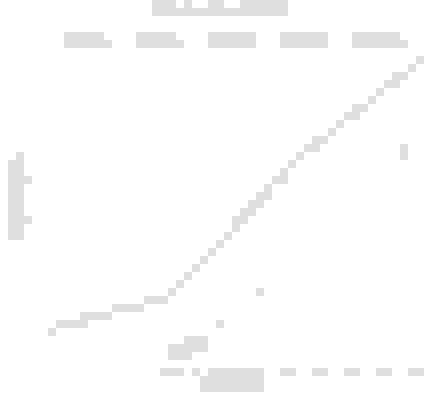 From analysing when the pumps are activated and calculating the outputs I've been able to create a graph of the actual output of the pump vs the stepper motor programmed position. Note the activation positions are approximate but the output should be accurate. So maximum output at full load and 9000rpm is 31mls/min or 1.86litres/hour . That's a **** ton of oil and probably translates to just under 1 litre/hr under racing conditions. So.................. OMP uses approx. twice the amount of oil that you would use premixing under racing conditions. Last edited by Brettus; 10-11-2018 at 05:34 PM. 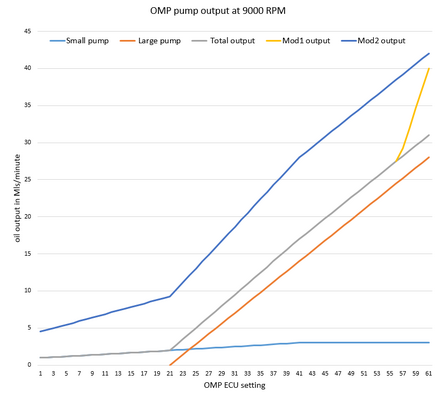 how to effectively increase output of the omp for use in a boosted engine . See post #95 for an NA map ! Last edited by Brettus; 03-29-2019 at 03:34 PM. Under 1L per hour of racing sounds about right for my real-world results with an OMP rate increase via ECU tune. In the same hour, I'd expect to burn 3/4 a tank of fuel so ~40L, so 450mL of premix at 1:100. So the math checks out vs my real-world observation. I don't have hard numbers but my RacingBeat flashed ECU will go through about 16 oz of oil from my Sohn reservoir every 30 minutes. This is running at > 6K RPM 90 % of the time. For reference, the car will be in limp mode if the shaft is not turning. You cannot simply connect the OMP to the harness and run premix/blockoff plate and expect the car to run with stock ECU. Get another large pump piston and sleeve from another omp and put it in place of the small pump . Note: Drill the pickup holes through like the small pump has or it will only work on 1/2 the outlets. Grind the cam follower of the large pump such that stroke is increased from 1.5mm to 2.0mm . Note .... the cam also needs to be ground for this to work . To get it working like shown on the chart would take some delicate grinding at the right spot. Mod 2 might suit a car that was used at the track but for the street it would use way too much oil . Mod 1 would work well in both street and track as you still have full adjust-ability. 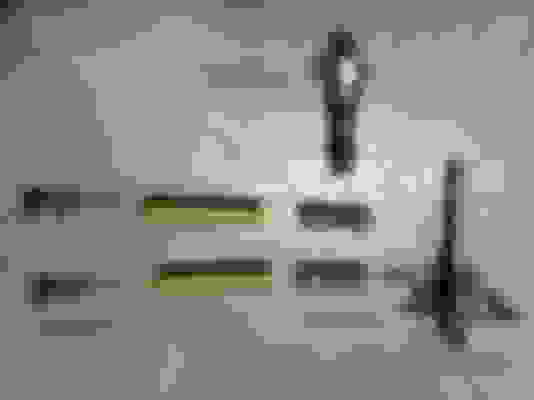 Last edited by Brettus; 10-11-2018 at 09:44 PM. I have removed the omp on mine and kept it plugged in . Runs fine . I think the actual mechanics of the OMP are overlooked as far as the longevity of this engine are concerned. Thank you for doing this. I did this exercise to try find a way to modify the omp for higher outputs when running boost . Eliminating any requirement for premix. I believe Mod1 would work well with a boosted car running on pump gas up to 10psi or so . Wouldn't even need the ECU to be adjusted although doing that could have advantages as well. However ... and this is the big thing for me . Now that I've worked all this out it's made me realise that the omp system doesn't work very well when you add a high % of ethanol. I've noticed issues with premature housing wear and apex seal bending when running ethanol and I have evidence to suggest that a higher OMP rate wont cure that. In fact , I actually suspect that the ethanol has some effect on the lubricity of sump oil . So ...while I'm running ethanol , i'll be sticking with ethanol compatible premix and not running the omp at all. FYI for the record, I have had mod#2 running on my car now for about 4 months now with a Sohn, and I average about 1200 to 1300 miles per quart of 2 stroke oil in normal street use, with a mix of highway and city driving, at about 18.5 mpg average over many tankfuls. I measured the output on a test jig,( I am sure much less sophisticated than Brettus's;I merely measured time/vs the number of drops of oil! ) 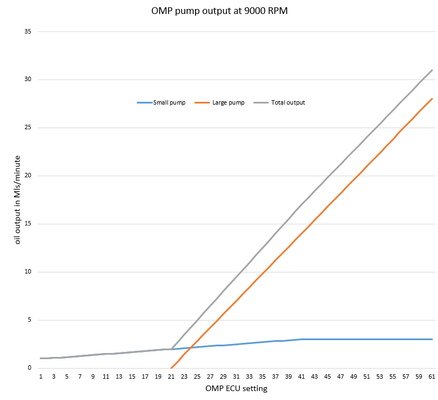 before I ran the pump on an actual engine, but got a similar looking graph of output rates. So, FWIW I personally don't think its too much oil, in fact still less than my old 12A FB mechanical OMP would use with stock OMP setting, at less than half the HP output of the 13B-MSP. Mazda really had to starve this engine of oil to get it to market, past Ford, or past EPA/EU regs, or whatever. Too bad, really. Thanks for that Kevin . Did you notice oil output reduced when you fitted the Sohn initially before the mod ? Perhaps mod2 is the way to go for those with the Sohn ! In my very uneducated opinion even for a stock engine the OMP is not enough as even with more oil quantity, it still favors the sides too much. I am sure more oil would get whipped in front of the apex seal and cover more of the center, but I am equally sure that a large percentage would not end up where its really needed, keeping the center of the seal lubricated and cooled later in the travel, like during and after the combustion "stroke" in the rotor housing. I would like to not premix with this engine, but even with the OMP mods, I think it still best to run some premix to get it in places the OMP passages would not get to. I am not sure if anyone has found out how much oil is "too much" for this engine, especially with a premium low ash 2 stroke oil. That would be a very hard question to answer, I guess. I have no idea, as Sohn was already installed on the car when it became mine. The oil I use is Maxima Super M Injector, which has a viscosity higher than what hot crankcase oil would have, (almost 10 CST at 100c) especially since it is injected cooler as well. FYI for the record, I have had mod#2 running on my car now for about 4 months now with a Sohn,. Something I noticed .... If you run the large pump in the small pump position . It needs the holes that pickup the oil to be drilled right through , same as the small pump is . Otherwise you risk increased output to only 2 of the 4 outlets to the engine. My test stand was not really the best, but I didn't observe any output difference at the lower settings between the 4 tubes. Also when I was running the engine at idle to clear the air bubbles, I saw what I thought was equal oil travel in the OMP tubes. Well, I am glad you mentioned that, thanks very much! It could be that it drags oil from around the outside of the sleeve ... but that would certainly be less than ideal . There is a hole that lines up with the sleeve on the body but no oil supply to it. So, based on your analysis with the large pump in its normal position in the pump, at high output, does it only flow to two of the 4 lines? No ... large pump flows to all 4 and small pump flows to all 4 . But large pump in small pump position will only flow to 2 unless drilled. I think what will happen when pump doesn't get the oil going into it is that it would just stay at end of its stroke and not return onto the cam . Interesting! I will have to look at that pump again. Thanks for your excellent research. I haven't started trouble-shooting this yet (re-installed the pump). You are suggesting the issue is with the pump or harness correct? I was able to run a quick check of the pump on my test stand this morning, and it definitely flows to all 4 outputs at the lower stepper positions, with your Mod#2, with an undrilled larger pump body. I checked it just off the stop, and was getting flow to all 4. I will need more time to gauge it accurately, as the flow is so low at those settings it takes a lot of time to get enough oil to measure to see if they are all flowing equal amounts. Will update tomorrow hopefully. Yes ... it could just be the positioning of the sensor which commonly causes a limp mode to occur . That's good to know ... but it can't be ideal . You should have a look at the way the pump body is drilled .... As far as I can see there is oil supplied to one side of the small pump sleeve only which does explain why Mazda drilled both sides on the small pump. For the large pump sleeve only one side is drilled as there is oil supplied on both sides of the body. Last edited by Brettus; 10-12-2018 at 12:37 PM. This pump is the most ingenious electro-mechanical device I've ever come across. Some years back I acquired a used one and studied it in detail. I commend you Brettus for undertaking this project but despite correcting some of the initial misconceptions, there still appear to be some misunderstandings. In view of the current interest in pump output, let me provide some input on how the oil is actually pumped, since your calculations appear to be out by a factor of two. (DL x DL) - (DS x DS) = DS x DS.........................or DL = 1.41 x DS. As you can see, the ratio of large to small diameter for both pistons is 1.41. I interpret the language in your description of how you did your calculations to mean you only used the large diameter, which would give a result that is too high by a factor of two. I have not checked the other parts of your calculation. I thought I knew everything about this pump, but it is clear now from the discussions you have been having with kevink0000 that my understanding of the big piston valving is incomplete. I'll be following those discussions with interest.